October Eighty Publications has launched Flow 5.2 at Three Sixty bar in A. Venue Mall in Makati City on April 14, 2010. Flow 5.2 is the magazine's 6th issue, that culminates the second part of the issue on Space from its Flow 5.1. 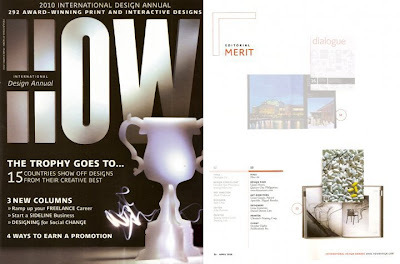 Flow is a groundbreaking bi-monthly magazine on art, design & culture, and a recipient of Editorial Merit Award by HOW Magazine's 2010 International Design Awards (April 2010 issue). Flow 5.2 Editorial Board: Joey Yupangco (Curator), Patrick Apacible (Executive Editor), Miguel Rosales (Editor), Marie Laurice Lupoy (Managing Editor), Lizza Gutierrez & Daniel Dennis Lim (Graphic Designers), Heinz Ngo (Media & Marketing Director), Ian Belleza (Assistant Media Director), Mario Alaman & Paelo Pedrajas (Media Managers). When I first heard about Flow magazine's issue on Space, I really got intrigued of it because I also love exploring the concept of Space. Space is a very interesting subject, not only in the visual arts, but also in literature and psychology. In 2002, I wrote a creative non-fiction piece, entitled "Ang Espasyo sa Tula" that tackles the functions of space in poetry (whether literal or figurative, physical or imaginary). 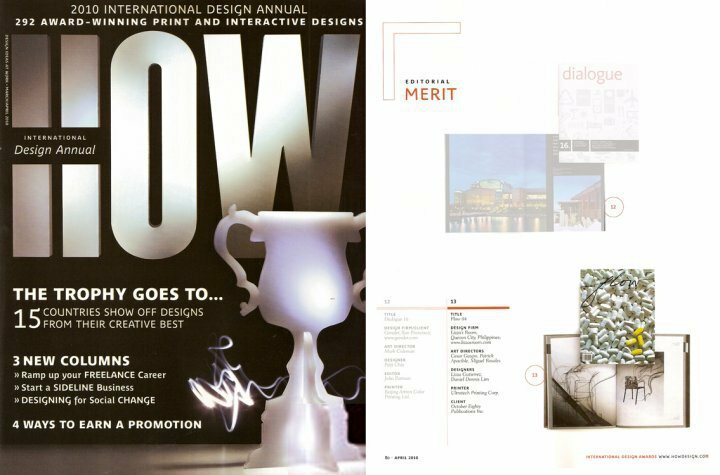 Flow 5.2 presents a man who is recognized for his design work, which is known for its imaginative solutions and thoroughly contemporary vision. Here, Joey Yupangco tackles a concept that is prevalent in his profession: Space. For someone who constantly deals with space in a 3-D manner, doing a magazine with its 2-D reality was an interesting challenge that could not be ignored. What has resulted is a fantastic collaboration with over twenty six contributors from around the world, who in their various disciplines, rose to the occasion and presented us with their own exploration of 'space' and its possibilities. From engineers who have built some of the worlds most groundbreaking and iconic structures, to a designer whose work was showcased on a top rated reality show, and to photographers that explore the space between two people, this double issue expounds on the concept and offers the reader outstanding individual insights. Get a copy of Flow magazine and be amazed of its layout, design and essays. It's a visual treat that will arouse your artistic sensibilities. Follow Flow Magazine in Facebook Fan Page and Twitter.